Simon Hunter Bunn of Hunter Fly Fishing, our High 5s guide in issue 14, lifts the skirt on the rivers he regards as his home waters. 1. Quality waters – everything else is just a bonus. 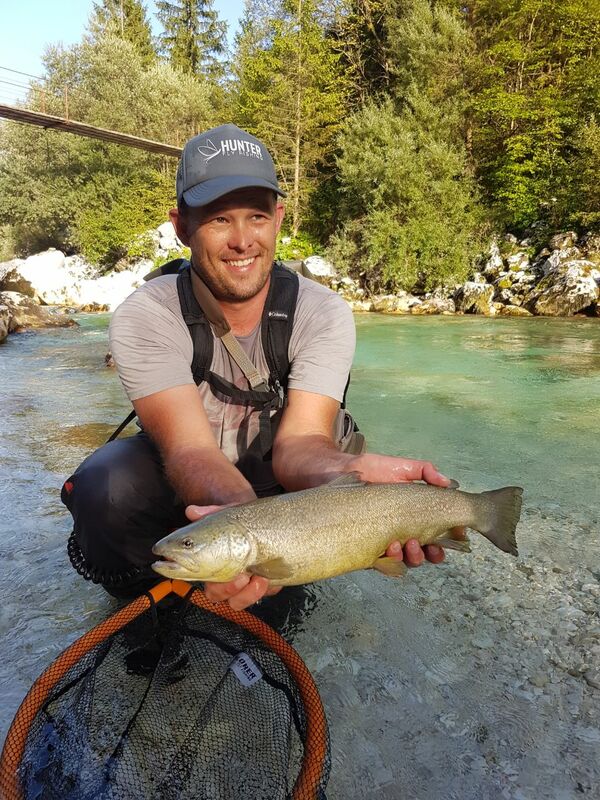 Where I work in Slovenia, the crystal clear water of the Soča River is absolutely mind-blowing and the sight fishing unparalleled. It’s a must-see on any list. 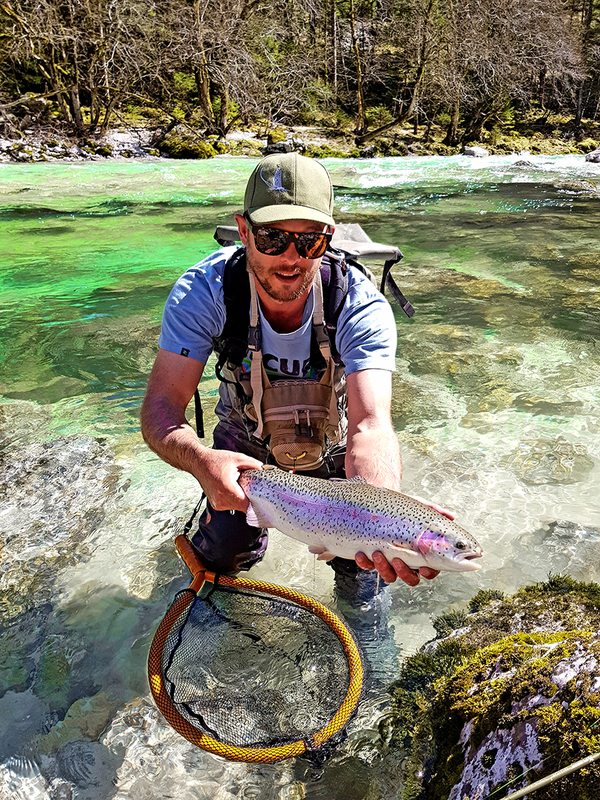 This Slovenian rainbow caught by Simon Hunter Bunn, SHE THICC! 2. People – I’ve met some awesome people along the way and many have become great friends. It’s always great to pop in at Xplorer in Durban on my return to South Africa to gear up in bulk for the seasons ahead. The new shop will be open soon. I’ve seen behind the scenes and it will be a place to go to if you are in the area or planning a trip to Slovenia or South Africa. 3. The fish – Slovenia and South Africa have excellent fisheries and if you know where to look there are lots of wild and big fish to chase. Marble trout are indigenous to Slovenia and are amazing looking fish with their marble pattern and subtle gold colour, but they also grow to big sizes and get super aggressive when chasing down streamers. So the hunt for that big fish is always on. They blend in so well that most people don’t even see the fish a few metres away. 4. Sight fishing – nothing really beats watching the grab! The Krka River is a chalk based system in Slovenia and it’s an amazing place for skating caddis or a well-placed mayfly. 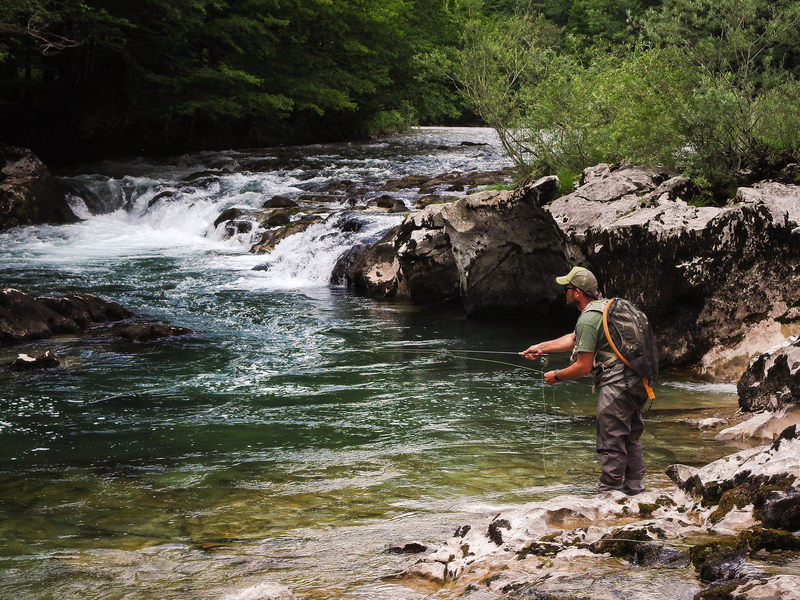 We fish in the pristine environment of the village Krka where big rainbows and browns are not uncommon. It also boasts a very high catch rate. The Soča (as mentioned above), is the place where you can see a fish eat your fly off the bottom which is two to four meters deep. 5. Nature – some of the places I get to fish are just mind-blowing and soul-cleansing environments where one can totally get lost and disappear for a bit. If you haven’t fished the Drakensberg from North to South, well then add it to the bucket list. In my spare time I try and fly fish my way around the Drakensberg. This last season was just spent fishing it with friends.